Good morning friends and happy Tuesday! One of my most favorite things to do is to open up a good book and dive into a new adventure. I didn’t realize how many books I owned until I moved either. Let’s just say it’s quite a bit. I own many biographies of my favorite people or stories about my favorite movies and television shows. My kindle app is also filled with stories ranging from romantic to sic-fy and everything in between. I read 55 books alone on my kindle app and countless more in my physical library. Now that I have some down time again, I’m getting back into the books I had started before moving. Currently, I’m reading JFK and the Masculine Mystique by Steven Watts along with The Fabulous Bouvier Sisters by Sam Kashner and Nancy Schoenberger. I just finished Reese Witherspoon’s, Whiskey In A Teacup, which was beyond darling! I cannot wait to try some of the southern recipes she features as well. The Lost Girls Of Paris is an emeltional story about friendship and bravery among a group of female spies based on amazing true events set in World War II. Fixie Farr is always fixing things for everyone else, but a chance encounter with a handsome stranger leads her on a path to taking charge of her life — and maybe finding true love along the way. The Huntress centers on a lethal Nazi villainess set in World War II with realistic characters and a truly compelling story making this the perfect book for readers who adore historical fiction. The author of Eat, Pray, Love is back with a love story set in the glamorous world of the New York City theater scene in the 1940s. Vivian Morris, now 95 years old, looks back on her life filled with adventure, scandal, and heartbreak. I’m the most excited for the release of this book. I was completely enchanted with The Night Circus and know this one will be worth the wait. A graduate student, Zachary, finds a mysterious book hidden in the library that leads to a series of clues that sweeps him away on a magical adventure. It’s that time of the year again for my seasonal favorite classic movies: Fall edition. These are my top 10 movies that I love to watch when the air turns crisp, the leaves begin to change into their brilliant colors, and the sweet smell of cinnamon, nutmeg, and pumpkin spice everything fills the air. There is no certain order to the list, though my number one favorite is listed as number one. It’s no surprise too that a few of these are from Alfred Hitchcock. His movies are what inspired my love for the classics and some are truly spooky with a bit of thrill to them. Speaking of, you’ll find some scary thrillers on this list for Halloween and also breathtaking fall foliage along with back to school themes. Without further ado, here are my favorite fall classics, with one honorable mention at the end! This is without a doubt my most favorite fall movie. I watch it as soon as fall begins and then a few times after. I watched it just this past weekend and it truly never gets old. The trouble with Harry is that he is dead. It’s as simple as that! It’s a Hitchcock movie that doesn’t necessarily feel like a Hitchcock one, but the suspense is still there along with a good dose of English humor. This was Shirley MacLaine’s first big movie role and she fit the part perfectly. The little boy, that’s Jerry Matthews or more commonly know as The Beaver from Leave It To Beaver. The best part about the movie is the scenery. The breathtaking views of the Vermont countryside at their peak in October. A fun fact, the film crew got most of the exterior shots done for the movie, though not all, before a snow storm hit the area and knocked all of the leaves off of the trees. Afterwards, everyone packed up and headed back to Los Angles to complete filming on a sound stage. Hitchcock had the idea to also pack up the leaves that had fallen off of the trees and ship them to LA as well. When they arrived, they were painted and then pinned to the trees on the set. Pretty cool idea! Arguably, this is Hitchcock’s most famous movie and with good reason too. Ever been afraid to take a shower? It’s becuase of this movie. It’s quite a psychological thriller with twists and turns and one of, if not the best, psychological killers out there. Anthony Perkins portrayal of Normal Bates is a masterpiece to watch. No one could have quite played the part like he did. I actually based my high school senior project on this movie, specifically Norman Bates. I’m not sure if schools still require the year long “senior project” but at the time mine did. I researched mental health focusing on multiple personality disorder, which is what Norman Bates suffers from. While doing my presentation, I showed clips form the movie, which my teeachers LOVED. This is such a good movie and one that is underrated in my opinion! It’s a classic who done it starring one of my favorite detectives of all time, Peter Faulk (who plays Colombo on television.) This movie reminds me very much of the game Clue, which I also love. I even have a Hitchcock edition of Clue! The plot revolves around five famous literary detectives and their sidekicks who are invited to a bizarre mansion to solve an even crazier murder. The halarity that ensues is priceless! There are so many great actors in this too from Peter Faulk, Peter Sellers, Alec Guinesses, David Niven, Maggie Smith, James Coco, and even Truman Capote. James Coco’s character of Milo Perrier portrays the famous Hercule Poirot and is my favorite in the movie. He’s just too funny! A fun fact is that while Alec Guinness was filming this movie he was reading a script he recently received from a little known director named George Lucas. That movie, Star Wars. This movie has to be one of the most popular rom coms ever made. While it does go through multiple seasons, the fall foliage ones are amazingly beautiful. The true quest of the movie is debating the question if men and women can truly be just friends without becoming romantically involved. I love Meg Ryan and Billy Crystal in this movie. Their chemistry together is superb and of course the New York backdrop fits in perfectly as well. Kim Novak entrances in this film with her hypnotic eyes that cast a romantic spell. If you like witches, this one is for you. This movie actually inspired the beloved television classic Bewitched starring Elizabeth Montgomery. Kim plays a modern day witch living in a New York apartment when a handsome gentleman, Jimmy Stewart, moves into the apartment above her. Jack Lemmon also stars as Kim’s brother with magical powers as well. Another Hitchcock classic (aren’t they all?!) that takes a look at what happens when birds decide they’ve had enough and start attacking people. 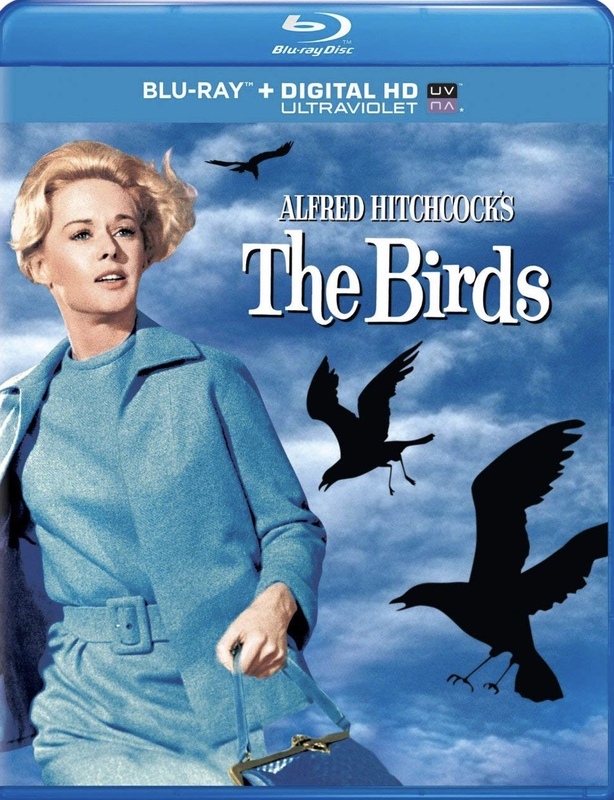 Rod Taylor and Tippi Hedren star in this masterpiece where survival becomes the priority. I love this movie. It’s one of my most watched Hitchcock films and one of my most watched all time films. The tension slowly builds with impending doom for the town and characters involved compounded by the fact the viewers are never given any real answers. Even the end of the film never has the words “The End” written. This was only the beginning of the terror created by our fluffy bird friends. It’s mesmerizing to watch. Sleepy Hallow may be a relatively recent classic, but in my opinion a classic none the less. This stars Johnny Depp as Ichabod Crane in a re-telling of Washington Irving’s classic short story. This tends to fall more on the scary side with the folklore of the headless horseman terrorizing the townspeople of Sleepy Hallow. I’ve been quite of fan of this story for as long as I can remember. I used to watch the Disney version, The Adventures of Ichabod and Mr. Toad and also loved the version from Are You Afraid Of The Dark, The Tale Of The Midnight Ride. One of my favorite shows, Murder She Wrote, also has a Sleepy Hallow tale with The Night Of The Headless Horseman. This is the first Harry Potter movie, based on the books by J. K. Rowling, but any of the Potter films are great for fall time and back to school inspiration. The books and movies are truly magical and incredibly well done. A sense of wonder and excitement always comes with any of the Harry Potter movies. There’s even a bit of fright with the evil that haunts the magical world. Magic literally comes to life in these films and it’s breathtaking to watch. As a long time Harry Potter fan, these film adaptions are above par. Who you gonna call? Ghostbusters! This is one of those smash hit movies that combines the comedic charms of Billy Murray and Dan Aykroyd with spookiness perfectly. Who can forget the Stay Puft Mashmallow Man rampaging through the streets of New York?! The theme songs never gets old either. This Frank Capra Classic is quite a zany and silly one, but one that I watch every single year. Cary Grant stars as Mortimer Brewster who finds out his cooky old aunts are a bit insane. Needless to say, halarity ensues as we unravel just how crazy the whole family may be. Raymond Massey and Peter Lorre also give great performances as a Borris Karloff look a like and his plastic surgeon doctor. Cary Grant always felt his performance was over the top, but honestly, while very silly, that’s what the part called for! It’s a fun little comedy that will make you smile. Have you ever had a teacher that inspired you and even changed your life? I’ve had a few college professors that inspired me emensly to the point I could to listen to them talk for hours. This movie, starring Robin Williams as professor John Keating, takes place at an all-boys prep school where he encourages his students to think outside of the box. To pursue their dreams and seize the day. It’s an inspiring and uplifting film, with some sad tones, but a remarkable ending. Good morning and a very happy Friday, friends! This post has been three months in the making and I couldn’t wait to share it with everyone. This year, my dad and I finally got the garden back into shape that my late husband and I had started when we were married. It was something we both loved to work on, though back in the day we had only grown vegetables. We loved seeing the veggies grow and then use them in our cooking and salads. This year, I decided to use half of the garden for flowers and the other half for vegetables. Ava was excited with the mention of getting the garden going and then being able to watch all of her hard work come to fruition. She helped my dad and I plant all of the initial flowers and vegetables and then would help me water them each night. In July, Ava decorated a Peppa Pig stone we found at Target and placed in the garden on the vegetable side. Her first harvest came towards the end of July with some kale, squash, and a pepper. About one week ago, all of the wild flowers we planted were finally ready to be cut and put into vases. Her second harvest was just yesterday. Having a garden is a fantastic idea if you have kids. It teaches them the rewards of hard work and also gets them outdoors. It’s pretty much a win-win situation for everyone involved! Each time I use one of the vegetables from the garden, I make sure to tell Ava that she grew it. That all of her hard work paid off. She loves to look at the flowers in their vases and say, “oh they’re so pretty” when she sees them. I hope everyone has a lovely weekend! Cheers!! Good morning everyone and happy Monday! I hope all of the dads out there enjoyed their Father’s Day weekend! With summer in full swing, I thought it’d be fun to take a look at the top 10 movies I always watch in the good ole summertime. Most of them do take place in the summer and they’re all classics. Now, don’t get me wrong, there are many more movies that are essentially summer based like Grease, National Lampoons Summer Vacation, American Graffiti, or The Sandlot, but I don’t watch them over and over year after year, though they should be watched! They’re all anazing classics. Below is the list of my favorite classic movies that I make point to watch each summer and sometimes throughout the whole year! This is one of my most favorite movies of all time. It’s no surprise it’s a Hitchcock movie. I’ve always been fascinated by this movie in the dead heat of summer in New York City. I can’t even begin to tell you how many times I’ve watched this movie, especially with my mom. She was always my movie buddy. Grace Kelly is absolutely stunning and at the height of her career here. My senior prom dress was inspired by her white gown in this movie. I also love that Jimmy Stewart is a photographer and the majority of the movie takes place in one room while looking out or “people watching” his neighbors. This was always the one movie I tried to catch on TCM each year. It would always be in the summer and I can remember all of the beautiful light shining into my parents house with the windows and door open to let the fresh summer air in. While some might think the Beach Party movies with Frankie Avalon are the essential summer flick, Gidget was the one for me. It’s such a cute film taking place on the sunny beaches of California. Sandra Dee is adorable and James Darren is pretty cute to look at too. I remember first seeing this movie as a kid and being instantly hooked. It’s been an all time favorite of mine since then. I watch it multiple times throughout the year. I watched it last week! It’s another “people watching” movie involving neighbors similar to the idea of Rear Window. The whole cast comes together perfectly to produce some amazing results. It’s great to see Carrie Fisher in this and the trio of Tom Hanks, Bruce Dern, and Rick Ducommun are so funny to watch. I have been a huge Marilyn fan for quite some time now with this being one of my top favorites of hers. My other two favorites are Niagra and Gentlemen Prefer Blondes. She has always been one of the most beautiful women in the world to me. Interestingly enough, my brother actually introduced me to her. This was always one movie I would put on to have going in the background while I would work on homework or be writing a paper. There’s something just really comforting about this movie. It’s funny and cute and Marilyn is beyond beautiful. Of course, there is the famous skirt scene, though you don’t see much. Another Hitchcock movie starring Grace Kelly, only this time the leading man is Cary Grant. ~Swoon~ He is my favorite actor and magic always happens when Hitch directs either one of them. This was one of my mom’s favorite movies of all time. She loved the fireworks scene. My junior prom dress was inspired by the gold dress Grace Kelly wears to the costume party. There is much to be dazzled by between the two leading actors and the stunning French Riviera. I actually just watched this one last night! The two stars alone make this movie quite a gem. If you’re fans of the television classic I Love Lucy, this is an absolute must see. It’s nice to see Lucy and Desi in color and to also hear Lucy’s actual singing voice. This is not a musical, but there is one scene where they kind of hum/sing a quick song while driving and it’s one of my favorite scenes in the whole movie. They look so relaxed and happy while driving through some gorgeous scenery. This is an all time favorite movie with my family. We all love it! My family loves The Andy Griffith show so we’ve always been fans of Don Knotts. Who doesn’t love Barney Fife?!? I love the hometown feel of this movie and the “spookyness” of it. “And they used Bon Ami! !” This movie could be considered a good one for Fall as well with the ghost theme, but I’ve always considered it more of a summer movie. In all honesty, I watch it multiple times throughout the whole year. The idea for this movie actually came from an episode of The Andy Griffith Show called “Haunted House.” Andy also helped with writing script. This is the quintessential summer blockbuster movie where you’re going to need a bigger boat. Bonus points, this was filmed in Cape Cod near Marga’s vineyard and Falmouth! One of the most iconic two music notes in movie history. There are three films where Rock Hudson and Dorris Day teamed up together including this one, which was the last of the trio. The others include “Pillow Talk” and “Lover Come Back.” This one has always been my favorite though since it shows them in their everyday married life and all the halirty that follows. Tony Randall really steals the show here and also stars with them in the other two movies. No one puts baby in a corner! Enough said. That lift scene at the end and the romance that blossoms during dancing lessons will make anyone swoon in the summer heat. The last day of 2017, I still cannot believe it! 2017 had quite a few beautiful memories for me that I wanted to highlight below. Thank you again to everyone for following along on this journey with me! I hope you enjoy and cheers to a happy and healthy 2018!! Mother’s Day. Ava and I dressed up in matching pink tulle outfits! This was so special and the day was beyond beautiful. Everyone was commenting on how cute we were dressed alike at the restaurant we went to. Ava becoming a little fashionista! This past year Ava has absolutely fallen in love with my dressing room and playing with all things girly! Easter weekend. Jesus has risen. The weather finally was turning a corner and a little bunny visited our home and left some treats! Spent my dad’s birthday down with the cherry blossoms. What a magical time of the year. Taking walks in the park and handing out flowers. This photo melts my heart. Ava lovesss flowers. She’ll go pick them and then hand them out or just continue to smell them haha. Trips to Knoebels. This year Ava actually rode some rides. A fun time for all! That smile. Spending my 29th birthday at the JFK 100 birthday celebration. This was a BIG one for me. JFK and I share the same birthday, which is beyond cool. Ava also has Obama’s birthday! The cake was sooooo good. Our annual trip to Cape Cod was a memorable one since it was Ava’s first visit! Getting to ride on Thomas the Tank. This was amazingly cool. Thomas looks absolutely real! I was blown away. We also got to visit with our family while we were there. They’re the best, I love you guys! The dedication of the JFK statue in Pittston, PA. My shirt was a hit! Our last year enjoying all the fun Belle brought to our lives. Ava’s first time to the Luzerne County Fair. She loved this tractor and was pretty good at working it too! My little shutter bug. She goes to grab my camera all the time now. Maybe she’ll love photography too someday. Halloween! Ava dressed up as Peppa Pig. All of the little kids loved her costume. I kept hearing, mommy mommy, there’s Peppa Pig! Ava and I on a photo shoot. This was one of my favorites with her. We dressed in matching colors and went to the park. We always have a blast on location! Watching the night sky and the space crafts that zoom up above. Valley Forge. My favorite spot in PA, especially in the fall. The word spectacular comes to mind when describing the foliage there. Matchy matchy. We’re a family that likes to match together haha. Christmas! Yay! The most wonderful time of the year. We packed so much into this Christmas season between decorating, singing carols, baking cookies, light rides, reading Christmas stories, watching Christmas movies, catching snow flakes on our tongues, going to tree lightings, visiting with family and friends....the list goes on! My favorite part of Christmas is actually going to church on Christmas Eve and singing Silent Night by candle lite. Good morning and happy Friday!! Last Friday I took my family out for a little picnic in one of my favorite parks. The weather was amazing, sunny with highs in the 80s. It literally felt like summer, we were all sweating haha. We enjoyed fresh fruit and some desserts while playing ball and watching Ava chase squirrels around. The timing could not have been more perfect to pull out this pink seersucker dress. I've always been a big fan of wearing seersucker in the summer. I actually used to own this blue seersucker shirt that I wore non-stop back when I was in high school. The dress runs true to size, I'm wearing a 00 for reference. There is also a built in bra with an internal zipper to help keep the dress up. It's actually quite genius and works well. The off the shoulder ties add the most darling detail to an already chic ensemble. This truly is the dress of the season! Wonderful for weddings, showers, brunch with the girls, beach bashes and more! Let me start off by saying that my house smelled absolutely amazing when I was photographing these candles. Candles are always something I like to use when I want to unwind at night or to make my home feel inviting and cozy. I'm always going through tons of candles too since I burn them whenever I'm working, reading, taking a bath, or having company over. When I heard about Vallabox, I was intrigued by the fact you could subscribe or gift someone artisan candles and have them delivered to your doorstep each month. How fabulous that you would never run out of having a candle on hand whenever you need it!? Being able to gift a subscription is lovely as well, especially during this holiday season. A beautifully well made candle is something we would all love to have, but not necessarily buy for ourselves. Giving the gift of joy and warmth each month to a special someone is so heartwarming. The idea for Vellabox came about when Adam, the owner and co-founder, saw that everyone loved getting his candles as gifts during the holidays or special events such as weddings and house warming parties. The candles could be enjoyed for long periods of time and bring happiness, light, and warmth into their surroundings. Being able to send someone this joy every month, with so little effort, led to the creation of Vellabox. Vellabox is running a Black Friday and Cyber Monday deal beginning late Thursday night into Monday with the code GIVETHANKS15. This allows you to get $5 off your first subscription or gift subscription. I'll be including Vellabox in my gift guides coming up as well. I'm in love with this company and their idea of providing light into our homes and hopefully, in turn, lighting up our lives. Stay tuned for some more Black Friday deals coming your way! Happy Thursday lovelies! I don't know about you, but this week is just flying by for me. I'm thinking that wonderful three day weekend has something to do with it. If only every weekend could be like that! Today I wanted to share a fabulous fashion and lifestyle illustrator Mayandree Michel of M. Michel Illustration. She recently created this beautiful fashion portrait of me from one of my most favorite outfits that I wore for Easter. It's a bit hard to tell, but I was five months pregnant at the time with little Ava. She's now making more of an appearance with the bump. I had the best time talking with Mayandree through the entire creative process and I could not be more thrilled with the results! As soon as I saw the completed art, I smiled so wide and instantly showed my husband and dad who thought the illustration was so beautifully done. The attention to details and coloring is spot on. I cannot stop looking at how lovely her artwork is and feel so honored to have found not only a beautiful illustrator, but also someone who is kind and sweet to work with. Please take a look at some of Mayandree's other designs and custom illustrations here at her Etsy shop. Let me tell you too, for any other bloggers reading this, having a custom illustration done in one of your favorite outfits is an absolute must. It's something you can hang in your home and also have on your blog. You can also reach M. Michel Illustration on facebook, on her Instragram, or on twitter. Thank you to M. Michel Illustration for sponsoring this post. Here are some more chic designs by M. Michel Illustration that I'm totally loving. Happy Wednesday loves! As usual, Wednesday is always devoted to inspiration and today I chose High Tea for the theme. One of my favorite memories is having tea with my mom while we watched Murder She Wrote or just chatted about life. Also, while on vacation in Rehoboth Beach, we would always go for high tea at the Plaza Hotel. She absolutely adored it. Everything is available to shop with the links above. There's nothing like curling up with a good book once the weather starts to cool. I always seem to gravitate towards mystery novels once Autumn hits and maybe that's due to the mystery that starts to fill the air with the days getting shorter, nights getting longer, and Halloween right around the corner. I love to snuggle under a blanket with a nice cup of tea and loose myself into an imaginary world. Without further ado, here is my Fall 2014 reading list. Girl Three by Tracy March. This was recommended to me by my relative and with good reason. It's a murder mystery set in Washington D.C. with political agendas, romance, betrayal, and the unraveling of secrets. Seems like a page turner to me and one that I cannot wait to read. The author wrote the book in a condo that was owned by my relatives and one that I had to pleasure of actually staying in. Pretty cool if you ask me. The Night Circus by Eric Morgenstern. A spell casting novel about a circus that magically appears out of thin air and brings with it all of the excitement and unique experiences a circus can offer. Behind the scenes, within the circus, a competition of imagination and will is going on, one that could destroy the circus, performers, and patron alike. How to Be Parisian Wherever You Are by Anne Berest, Audrey Diwan, Caroline de Maigret, Sophie Mas. A how to book by four French women on everything from how they dress, entertain, have fun, and attempt to behave themselves. 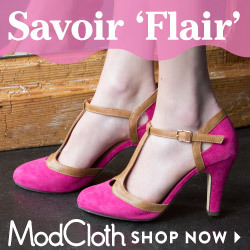 I don't know about you, but anything Parisian gets my vote! The Devil in the White City: A Saga of Magic and Murder at the Fair that Changed America by Erik Larson. A true story of how the Chicago Worlds Fair came to be and all that went on around it. An intertwining story of a serial murderer who used the 1893 fair to lure his victims to their death. Station Eleven by Emily St. Jon Mandel. A spellbinding story about a group of nomad actors, a Hollywood star and his soon to be savior, set in the eerie days of civilizations collapse, roaming the scattered outposts of the Great Lakes region, risking everything for art and humanity. The Goldfinch by Donna Tartt. The story of a New York boy who survives a car accident that kills his mother. Tormented by her death, he clings to a painting that reminds him of her, and one that ultimately draws him into the underworld of art. As an adult, he owns an antique store, finds himself to be alienated and in love, and at the center of a dangerous circle. What are some books you're currently reading or ones you're looking forward to? Just thought I's share a quick post with you showing how wonderful my husband is. He sent me a large bouquet of flowers a few days ago "for no special reason." Just a little reminder of love and affection. I always have a beautiful vision of relaxing in the summer sun with a warm breeze blowing, the birds chirping, and a cool beverage in my one hand with a fascinating book in my other. Whether in my backyard, by the sea, or poolside, a summer read should give the opportunity to sit back and relax for a little while. I always find myself becoming busier during the warmer months, so knowing I can have a few moments to take a breather and become immersed into another world seems to good to resist. These Few Precious Days by Christopher Andrews. This book tells of the final year of John and Jackie Kennedy before the assassination occurred. Being the huge Kennedy fan that I am, this climbed to the top of my list as a must read. Rare, behind-the-scenes moments, detailing their tender and complex love story like never seen before. Marilyn Monroe The Finals Years by Keith Badman. Detailing the last two years of her life, while setting the record straight on all of the rumors that continue to surround America's biggest movie star there ever was. Cutting Teeth by Julia Fierro. A group of 30 somethings meet at a beach house over a summer weekend. This book was named one of the "30 must reads of 2014" by the Huffington Post. Sounds good to me! Gone Girl By Gillian Flynn. I've been wanting to read this for a while after hearing so many good things about it. Especially now that the book is set to hit theaters towards the end of the year, I want to read up on it before actually seeing the movie. Insurgent by Veronica Roth. Book number two in the Divergent series, this sequel picks up with Tris who must continue to fight for the ones she loves and deal with the oncoming war ahead. After seeing the movie "Divergent" in theaters, I instantly liked the story and knew this series would become something big similar to The Hunger Games. Mornings have always been one of my favorite times of the day. The fresh new clean feeling, the endless amount of possibilities that could occur, and the grateful sense of knowing I have made it another day. One morning activity I quite adore is to sit back, while after having my breakfast, to take a moment to enjoy a simple pleasure of mine, tea and macaron cookies. Albeit, this is not an everyday occurrence, but that makes it more special when it does. These little darlings became popular in France and soon made their way state side. While I cannot get the little cookie locally, only bigger cities seem to have them in Pennsylvania, I treasure the ones I do have the chance to acquire. Light and airy with either a creme or jelly center, macarons have become a new favorite of mine, not to mention how pretty they look! I also like to get my little sweet treat out of the way in the morning so I have the rest of the day to eat plenty of fruits and vegetables to make up for it. Remember, moderation is key. One of the biggest complaints I hear when dealing with photography is there is nothing to shoot. Not so! Simply go outside into the backyard or nearby area to capture the scenery around you. The simpleness of a single flower can make a huge impact in a photo. People just walk by them everyday and do not realize the beauty they possess or how intriguing they can be. All of these photos were recently captured around my property. The photo of the lake at sunset was taken about 15 minutes from my house. An easier step to remember when shooting flowers is to try and get the background blurred out for that quality impact shot. Basically, you want to keep the aperture wide open and depending on your lens, that could be at a 1.8 to a 5.6. Then zoom in on the flower, pick a focus point, and voila, you're on your way to capturing all the beauty around you. On a side note, the rhododendron blooms were taken just after it had rained outside. The tiny water droplets really add depth to the image. Some people like to take a water spritzer with them to add water into the photograph and while I've never done this myself, it without question will give the photo that something extra special. All in all, open your eyes to see the world around you. Anything from a dandelion, flower, bird feeder, leaf, insect, bumblebee, bird, rocks, or a new perspective or angle can widen your horizons when photographing.